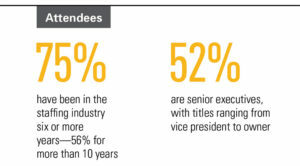 Last year’s ASA Staffing Law Conference expo sold out! 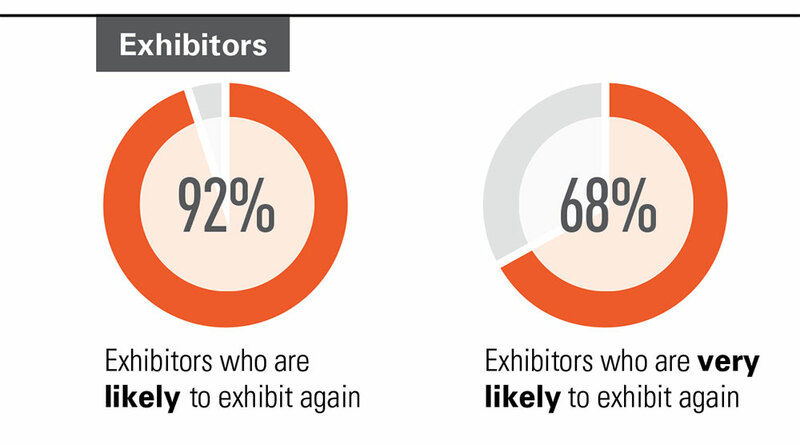 Make sure you makes plans to exhibit at the 2019 event, April 4–5. Contact the ASA corporate alliances team today at 703-253-2020. To learn more about exhibiting at the conference, contact Sarah Senges at 703-253-2042. For sponsorship opportunities, contact Kim Kelemen at 703-253-1169. This high-visibility annual conference is the only event dedicated to the legal and regulatory issues facing staffing companies. From federal regulatory issues and protecting temporary workers to background check parameters and health care reform, the ASA Staffing Law Conference delivers content that is critical to staffing companies. With select and limited expo space available, this is the perfect forum for suppliers to target c-suite staffing executives. 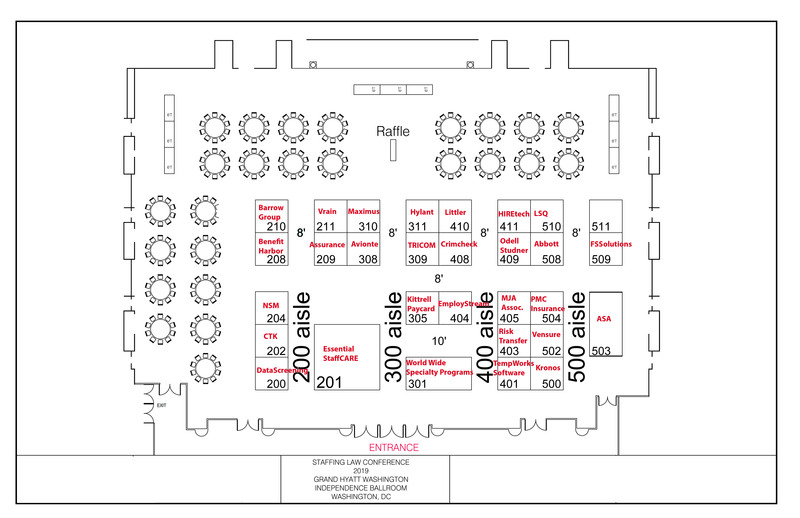 Check out the floor plan and select your booth preferences. Contact ASA for availability and updated floor plan. Submit your completed contract to ASA. Fill out your Complimentary Exhibitor Listing Form and send to ASA.